May 2015 marks the 20th anniversary of the premiere of Marc Caro and Jean-Pierre Jeunet’s The City of Lost Children (1995). It is perhaps the most recognizable example of contemporary surrealist cinema, and it remains one of Caro and Jeunet’s most well-regarded works. 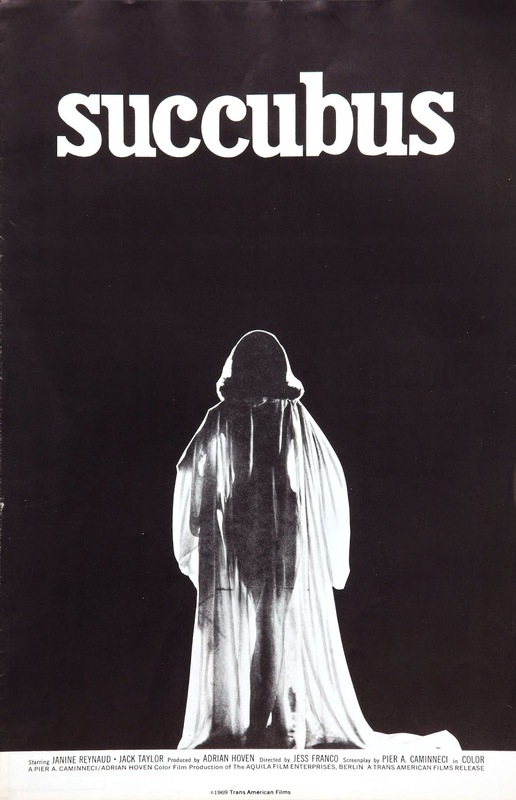 * The surrealist nature of the film is fairly evident from even a casual viewing, as it embodies just about every layer of the film’s plot, characters, visuals, and underlying “myths.” It’s chaotic, moody, and, at times, bewildering. The City of Lost Children‘s, in other words, is not simply a fantasy; rather, it is a fantasy which has been divulged of its realistic undercurrents. In both instances, the notion of “coherence” or “cohesion” is of paramount significance. Narrative must “connect the dots” and must lead to “comprehension.” Narrative, in other words, must make sense, and any narrative that does not do so can be rejected on the basis of its visual imaginativeness, since the visual is only important in the context of a sensible narrative. It’s a curious notion — one which I hope to thoroughly debunk below. Jay Boyar’s review in the Orlando Sentinel is perhaps the most fascinating in this regard. Boyar criticizes Caro and Jeunet for creating a narrative so disorienting that it shuts out the viewer. To a certain degree, I actually agree here; a viewer’s expectation of what a film should include can make a surrealist experience like The City of Lost Children difficult, if not off-putting. Caro and Jeunet have not created a story that always logically follows; there is no logical progression between every event, and so much is left unsaid that the viewer is required to play “detective” on more than one occasion (more on this element below). Boyar’s review, however, reveals precisely his expectations, as the only areas for which he praises The City of Lost Children happen to be the handful of brief sequences which most clearly embody cause and effect — for example, the scene in which Miette (Judith Vittet), being strangled by a mindcontrolled One (Ron Perlman), sheds a single tear and causes a long and complicated chain reaction that eventually saves them. Indeed, what Boyar misses is how out-of-sync scenes like this are within the film’s larger whole, where the visually grotesque and narratively convoluted and disorienting are drawn into stark contrast against film sequences beholden to pure “plot.” These scenes stand out because they’re supposed to; they’re contrasts. In a strange way, reading these reviews in an attempt to figure out what I was missing while experiencing The City of Lost Children led me to a greater appreciation for the film. Once you realize what Caro and Jeunet are trying to do, however flawed at times, the frenetic nature of the film starts to make a certain kind of sense (or non-sense, if you will). After all, if this is intended as a surrealist cinematic experience, then much of what bothered the critics becomes the thing for which the film should be praised. It’s beautiful, weird, chaotic, full of intersecting/competing tropes, and, in a big way, about controlling or owning dreams as a mythic frame for the whole. Just writing this makes me want to watch it again. But I think there’s a problem with the framing of The City of Lost Children as visually arresting, but narratively incoherent: it ignores the surrealist purpose and it connects the rather compelling Caro/Jeunet film to a very different mode of cinematic engagement — popular cinema — and the criticisms used against such films. Because that is essentially the charge: The City of Lost Children is beautiful, but it is narratively befuddled, much like so many other style-over-substance films; never mind that it is a film that seems completely aware that it is, at times, incoherent — and, perhaps, intentionally so. That incoherency is a perk, not a flaw. Popular cinema is often accused of adhering to style while leaving substance to the side. We can talk about films such as Avatar or Transformers as focusing on visual spectacle rather than tales about actual people. To a certain degree, this is true. The spectacle of the visual — the excitement they evoke by being spectacular or action-packed — is often the focus of these stories, or becomes the focus by dint of overwhelming the narrative, which is often far less dramatic or compelling than the actual visual landscape. In the case of Avatar, the story is rendered practically meaningless or moot because it is merely a repetition, and so what becomes of “value” in the film is its attempts to visualize a story that doesn’t really matter. This isn’t necessarily a bad thing, which I’ll explain in a moment. The way in which these reviewers construct their arguments concerning The City of Lost Children is not that dissimilar from how I expect they might (or probably should) also view Mad Max: Fury Road (2015), which is, on the surface, focused on style. It is a film that is visual versus narrative. When one breaks down the narrative of Fury Road, it is remarkably simplistic compared to the visual qualities of the film; much like Avatar, it’s narrative is a repetition because it is almost entirely one action sequence / chase scene stretched over a thin plot and relatively minor character development. But I think this is deceptive. I think it’s fair to say that these style-over-substance critiques can often become easy tools to dismiss a work which doesn’t adhere to the narrative expectations of cinema. In the case of Fury Road, such a dismissal of the narrative would ignore the fact that it is a film about visual rhetoric rather than a film about narrative rhetoric. In other words, it is a film that is about a visual landscape and its intended and implied meanings rather than a story about characters within a visual medium. This is a distinction that I think is crucial, and it is something that I think The City of Lost Children also participates in. From a narrative perspective, it might contain some elements of substance — being a narrative about disjointing or disconnecting the very notion of narrative as a “real” thing, intentionally leaving the “dots” unconnected from the whole. But it also a film concerned with visual rhetoric and with visual meaning. You can get to this idea quite clearly by understanding how the film’s surreality participates in a kind of anti- or un-reality. One way you can see the visual rhetoric participates in this process as “presenting visual meanings” or “visual concepts and ideas” is in the rather touching scene between Miette and One as they snuggle together in a hidden alcove filled with what appear to be sandbags. Here, we’re presented with two characters discussing — in a somewhat sideways fashion — the concept or notion of sibling love, touching in part because not too long prior, One thought Miette to have been murdered. The scene is very much about the surrogate sibling love and the absence of “closeness” between children and adults, as almost every adult in The City of Lost Children is either a fallen figure or actively engaged in abusing or exploiting children. It is significant, I think, that One is the only really un-fallen adult in the entire film and that Miette identifies him as an adult who has never grown up; he becomes the visual conduit through which sibling love is created and repeated as a visual concept. The scene between Miette and One, as such (and among others), provides one of the most cogent examples of the visual rhetoric of the film, as it is the visual concept that overrides the written dialogue — and the narrative proper. One identifies Miette as little sister, but when Miette asks One why he is snuggling up to her and breathing heavily into her back, the only response he needs to provide is a word: radiator. We don’t need the notion of sibling love to be described because the visuals tell us more about the characters than the words they actually speak. We never find out where these ships go, even though One tells us he used to hunt whales while on the ship — and stopped because he could no longer hunt the whales after hearing their song. We never know where those ships go or whether they go anywhere real at all. 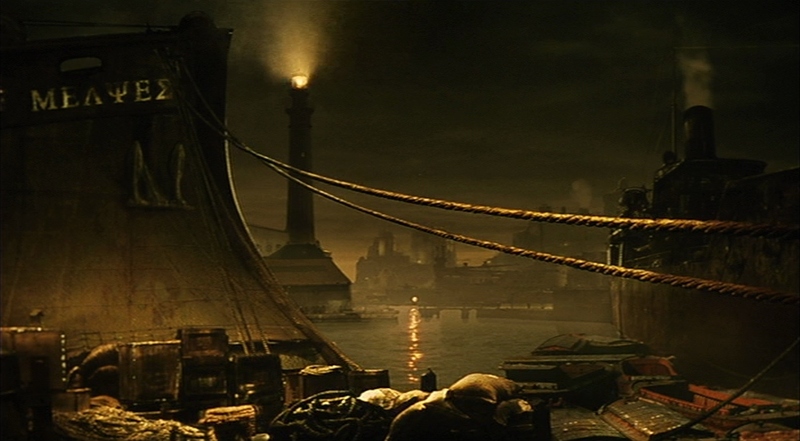 The lighthouse, the docks, and the ships are all seemingly realistic elements, but their placement in the film has less to do with their actual operation and more to do with the suggestion of a reality, to which the film goes to great lengths to unravel. Throughout The City of Lost Children, that feeling of “suggestion” is at the forefront. So little is actually told directly to us, requiring us to fill in our own blanks, to read the suggestions of who people are, what they want, why they want, and so on — even, I might add, to understand the world and its tropes as the film presents it to us. That constant reiteration of suggestion — of plot points that are injected almost at random, of weirdness and its meanings — seems to go to the heart of the surrealist nature of this film, since it is always pushing against an invisible envelope of reality. It’s always injecting the new and not (always) telling us why it is there, but suggesting its meaning, suggesting its purpose. In essence, so much of The City of Lost Children concerns the meanings imparted by the visuals, not by the surrealist narrative in which these visuals reside; criticisms about the narrative as being “incoherent,” then, ring rather hollow, since the narrative is not participating in the same cinematic game — even the same game other visually-oriented films like Fury Road play. *It also happens to be one of my best friend’s favorite movies of all time.